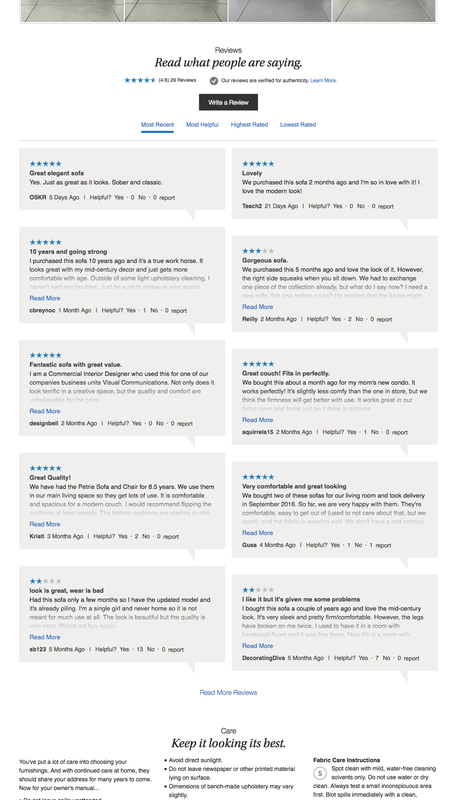 The screenshot was taken April 11, 2017 and depicts Crate & Barrel’s User Reviews Section. In total, we’ve reviewed 44 of Crate & Barrel’s design elements. To see them all, visit the full Crate & Barrel UX case study.